Walküre were formed in 2015 by Eburos (bass guitars and vocals, production), Camulus (electric and acoustic guitars and vocals) [both of them, for your information, were (or still are?) in Mortusaeternam] and Valyrian (drums and backing vocals). At this very moment, they did release one single official thing, and that’s their nameless (or self-called – whatever) album Walküre. I have no idea whether this trio is still active, but hey, let’s focus on that album. It was released in very early 2017, indeed two years ago, but you know, I do not mind giving my (worthful) attention to great material, even though it is not totally new. Besides, R. from Hass Weg Productions surely deserves it, to have my modest opinion, for this guy behind Hass Weg Productions simply breathes Black Metal. Can’t we ignore such dedication? I do not, so (and so on – no further comment). Anyway, this trio did record ten tracks gathered under their very same name, clocking almost three quarters of an hour. There are (were) five hundred compact disc copies, in a regular ‘jewel case’ edition, including a four-page booklet (no lyrics included). The whole thing was mixed and mastered at the QSound Studio by a certain Quentin L., and the cover artwork might give a hint of the sweet, sunny beaches and cheerful partying people concerned… NOT! I can be quite short on this topic, for what Walküre (the band) stands for with Walküre (the album) is not that difficult to describe: ‘Heathen Militant Raw Black Metal in old school vein’, as stated by the label. Hey, I couldn’t give a description more appropriate and to-the-point, for indeed this stuff is heathen, it is militant, it is raw, and it sounds old schooled. Actually, the rawness is so old styled, that there are hints of both the Second Wave as well as the First Wave too. Okay, that ‘first wave’ is not that easily definable, and rather gathers everything that is pre-Second Wave-era, yet still… But the whole surely has more than just some coincidental comparisons with the Second Wave trend, even though I dare not to refer to the Scandinavian scene alone. No, this is much more universal, actually. In contrast with that Nineties-feeling is the progressive touch that colours (or decolourizes) many fragments. More than once, certain excerpts have that touch of progressive craftsmanship – listen for example to the almost jazzy-avantgarde bass lines and drum patterns in Walpurgis. It’s a fine contrast with the fierce yet traditional and straight-forward attacks that cover the biggest part of this album. The better part is fast (from energetic to ravishing), and especially the drums give the whole that militaristic Blitzkrieg effect. But there are some decelerations and slower parts too, and as counterbalance, this is another great thing. Okay, if you’re looking for originality, Walküre (the band) or Walküre (the album) will not offer you something that renews the scene, that reinvents the essence of Black Metal. The story, your story, might end right here, right now. But when searching for purity, ‘with efficiency, without frills or artifice’, this stuff hits the bull’s eye. Take the sound, for instance, being rough and unpolished, yet still professionally mixed (always a pleasure to notice that also the rhythm instrumentation gets full attention after the final mixing process). The production is sharp-edged and lacks irritating background noises, but it does maintain that primal rawness. Besides, the equilibrium in between melodicism and epicism gets strengthened by the fierce sound quality. More of a clinical production would have minimalised the proud, epic aspects, and an under-produced result could have been a denigrating element for the melodic structures of the individual (yet cohesive) compositions. As said, I will not go too deep into the matter this time. 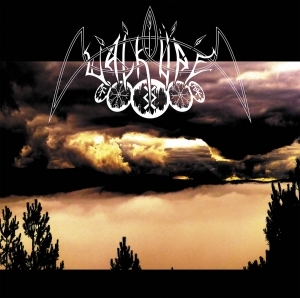 Walküre (the band) brings a very honest, basically correct album (Walküre) that paints the canvas of what ‘essential’ Black Metal from the Old School must stand for. Nothing more, yet certainly nothing less either! And therefor, highly recommended to all genuine Black Metal maniacs! Vae Victis!